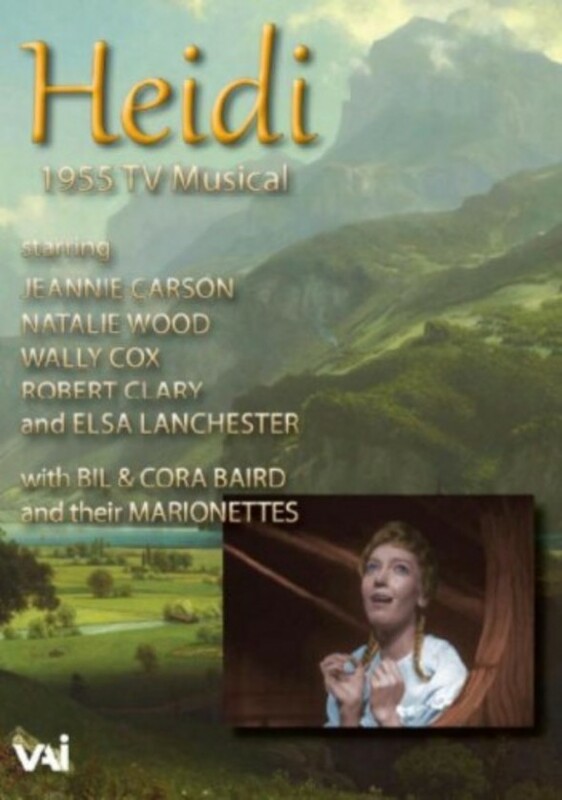 Max Liebman’s rarely seen 1955 television production of Heidi is a lavish and remarkable all-star musicalisation of Johanna Spyri’s beloved 1880 children’s story. Jeanie Carson, the charming British-born actress of stage and screen, stars in the title role, and 17 year old Natalie Wood, on the verge of film stardom in 'Rebel without a Cause' (released just weeks after this telecast), is her friend Klara. This telecast, released here for the first time on DVD, offers an exciting opportunity to see Natalie Wood’s early television work, and is an important addition to the catalogue of Heidi adaptations.